𝐇𝐎𝐖 𝐓𝐎 𝐒𝐄𝐓 𝐔𝐏 𝐀𝐍 𝐈𝐍𝐂𝐎𝐑𝐏𝐎𝐑𝐀𝐓𝐄𝐃 𝐂𝐎𝐌𝐏𝐀𝐍𝐘 𝐈𝐍 𝐒𝐈𝐍𝐆𝐀𝐏𝐎𝐑𝐄 ? Singapore is an attractive financial and economic host due to the presence of a lax tax system, flexible financial infrastructure and negligible bureaucracy. The most common type of company setup for foreigners is the private limited company which is basically a local incorporated company with 1-50 shareholders. 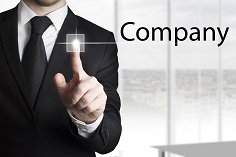 There are also a number of advantages associated with setting up a private limited company. As a business owner of a private limited company, you will be able to protect your personal assets unlike a sole proprietorship or a partnership. You will qualify for several tax exemptions under certain conditions. The dividend on the profit that you are liable to pay your shareholders will further be exempted from tax and will allow foreign directors to apply for an employment pass. If you want to incorporate a company in Singapore, but don’t know the proper procedure to continue with the venture, fret not. This easy step by step review will help you get all the information needed to build your own corporation within the country. There are also several things that you need to consider before you incorporate a company in Singapore. The foremost consideration is determining the type of business that you want to establish. This can help you obtain the relevant permits from the relevant authorities in Singapore. These requirements also act as pre-requisite information for bank accounts, insurance companies, financial companies, educational and research institutions as well as food-related industries. A good incorporating service providing company, like Studio SOS Pte Ltd, can help you determine the type of business that will be most suitable to your needs and also advise you about the necessary conditions and permit requirements. Find out the Singapore Standard Industrial Classification (SSIC) code in Online Incorporation Form. It is important to think of at least three or more names, just in case the first two are already taken/registered. Other reasons which can result in the rejection of your company name are: infringement of rights under patent and trademark indecency. If your company name includes words like school, bank or tourist agency, they will be subjected to another round of approval by the regulatory body of the board of registration in Singapore which can take up to 2 months. The normal name registration process though, takes just a couple of hours. The company setup can be initiated by a mere S$1, but it depends on the type of your business. For example, for setting up a tourist agency, you will need to put-up an initial investment of more than S$100,000. You will need to identify and determine the amount of shareholders that your company will have as well as the amount of investment of each of the shareholders. In order to comply with the Singaporean Business Regulations, it is necessary for your business/company to appoint at least one director who is a local resident, until the interim foreign director receives an Employment Pass after which the previous director can resign and all powers will revert back to the new nominated foreign director. On the whole though, company setup in Singapore for foreigners is easy and efficient due to the number of professional firms like the Studio SOS Pte Ltd that offer diverse services like incorporation services, accounting, taxation, auditing and any immigration services. To know more about our services, contact us today to incorporate your business in Singapore.